President Donald Trump put a big and risky bet on Saudi Arabia and its 33-year-old crown prince. It's now become much riskier. From the early days of his presidency, Trump and his foreign policy team embraced the kingdom and Mohammed bin Salman as the anchors of their entire Middle East strategy. From Iran and Iraq to Syria, Yemen and the Israeli-Palestinian conflict, the administration gambled that Saudi Arabia, effectively run by the prince, could credibly lead, and willingly pay for, a "Pax Arabica" in a part of the world from which Trump is keen to disengage. For nearly two years, through an ongoing crisis with Qatar and international outrage over civilian casualties in the Saudi-led campaign against Yemeni rebels, the prince has managed to keep Washington's confidence. 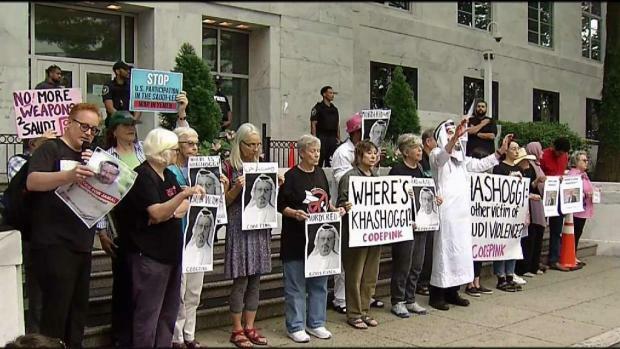 But now, the tide is turning amid growing outrage over the disappearance and likely death of a U.S.-based journalist inside a Saudi Consulate in Turkey, and that confidence appears to be waning. The Trump administration's grand strategy may be upended with far-reaching ramifications that extend well outside the region. Even if an investigation into what happened to Washington Post contributor Jamal Khashoggi in Istanbul exonerates the prince and the top Saudi leadership, the administration's deep reliance on him will be severely tested not least because of broad bipartisan revulsion in Congress to as-yet unconfirmed accounts of Khashoggi's fate. Already, prominent lawmakers from both parties are questioning his fitness to lead the country and suggesting it might be time to re-think U.S.-Saudi relations and sharply curb arms sales. Trump ally Sen. Lindsey Graham, R-S.C., and other influential politicians warned of dire consequences on Tuesday, saying the prince, often known as MBS for short, should be removed from his post. "This guy is a wrecking ball, he had this guy murdered in a consulate in Turkey, and to expect me to ignore it, I feel used and abused," Graham said on "Fox and Friends." ''Saudi Arabia, if you're listening, there are a lot of good people you could choose, but MBS has tainted your country and tainted himself." Trump foe, Sen. Chris Porter, D-Conn., said the Khashoggi case "should trigger a fundamental review of the nature of the United States' alliance with the Saudis." "As the new crown prince engages in increasingly reckless behavior, more and more of us are wondering whether our ally's actions are in our own best interests," he wrote in The Washington Post. And Trump ally Sen. Marco Rubio, D-Fla., called the situation a "catastrophe" for the Saudis that will "alter the relationship between the United States and Saudi Arabia for the foreseeable future." "This is a fear we've had for a long time is that the crown prince is a young and aggressive guy that would overestimate how much room he had to do things, would get over aggressive and overestimate his own capabilities and create a problem such as this," he said. He added that the situation was one that "would really blow apart our Middle Eastern strategy." The impact of a U.S.-Saudi rift, however remote the possibility, could send shockwaves around the world, destabilizing oil markets and the global investment climate, not to mention dealing a blow to the Trump administration's own plans in the Middle East. Trump's son-in-law and senior adviser Jared Kushner has made Saudi Arabia a centerpiece of his yet to be revealed Israeli-Palestinian peace plan, which is expected to call for massive Saudi and Gulf Arab contributions to fund reconstruction and development projects in the West Bank and Gaza. Saudi support will also be key to the political elements of the plan that Israel insists put its security on par with Palestinian statehood. That means that Israel will likely seek assurances that any deal with the Palestinians be followed by a broader agreement that normalizes its relations with the rest of the Arab world, particularly Saudi Arabia. In Syria, the administration relied almost entirely on Saudi Arabia, along with the closely allied United Arab Emirates, to make up for steep cuts in U.S. stabilization assistance to areas liberated from Islamic militants. Next door in Iraq, the current secretary of state, Mike Pompeo, and his predecessor, Rex Tillerson, have leaned heavily on the Saudis to make large financial pledges for reconstruction of war-shattered communities. But it is the administration's policy of isolating Iran that may suffer the most from Saudi-U.S. estrangement. Trump is counting on the Saudis to shore up and complement its Iran policy on several fronts. In Yemen, where the U.S.-backed Saudi-led coalition is fighting Iran-backed Houthi Shiite rebel insurgency, the effort to blunt Tehran's increasing assertiveness would be hurt by any reduction in American help. In Syria, where Saudi stabilization funds are being used in part to prevent Iranian proxies from encroaching on communities previously held by the Islamic State group, a reduction in Saudi cooperation would allow Iran a freer hand. The same holds true in Iraq, where Saudi investment is seen as critical to prevent Iran from gaining more of a foothold than it has in the Shia majority state. More importantly, the administration has been counting on Saudi Arabia to step in to prevent oil prices from skyrocketing once it re-imposes energy-related sanctions on Iran that had been lifted under the 2015 nuclear deal from which Trump withdrew. Those sanctions require countries to halt Iranian oil imports unless they receive a waiver or face penalties. Frosty relations with Washington may tempt Riyadh to cut back on any increase in oil supply to make up for the loss of Iranian crude. 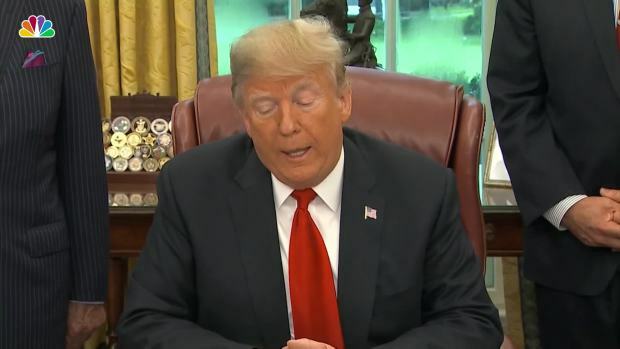 Of course, Trump's bet could still pay off in the event the Khashoggi investigation is found to be credible and those responsible for his fate are held accountable, as Trump, Vice President Mike Pence and Pompeo have all demanded. But with anti-Saudi sentiment running high in the corridors of power, Trump may find that going all in on the prince was a loser.